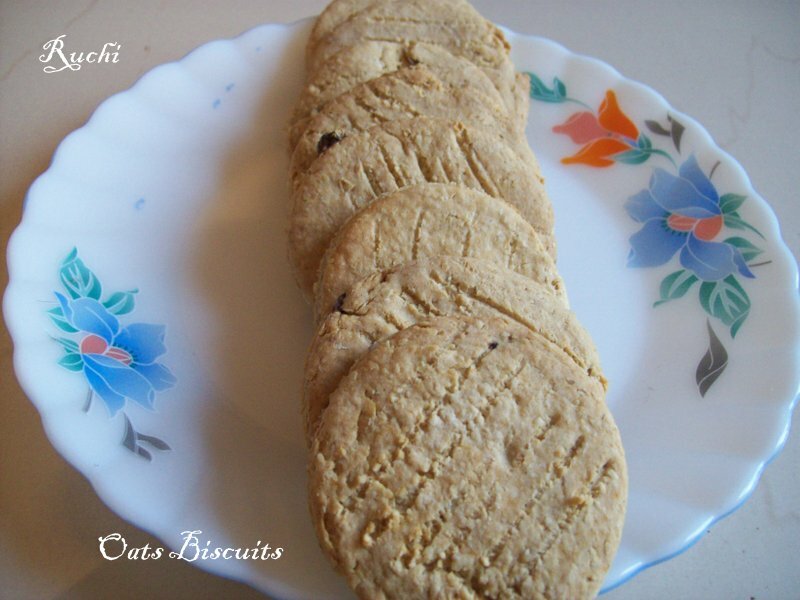 A very tasty biscuits made of oats and whole wheat are all time my favorite. 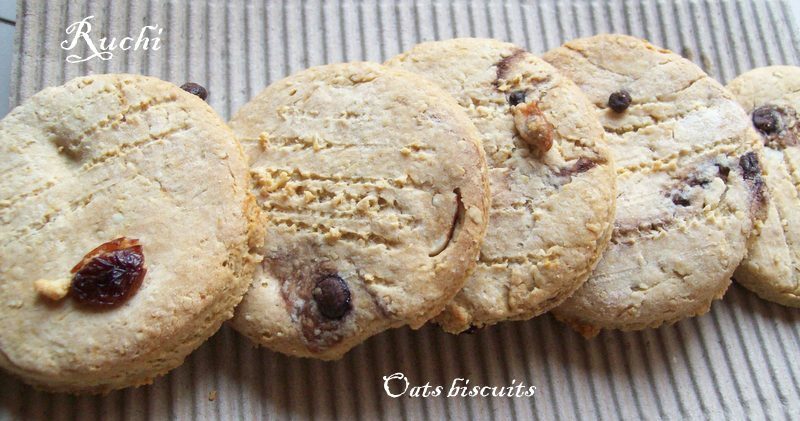 This slight crunchy biscuits is perfect pair with cup of Coffee/Tea. 1.Grind the oats separately into a fine powder. 2.In a bowl, stir together the dry ingredients – Wheatflour, oats flour , baking soda, baking powder, chocolate chips& chopped Almonds. 3.Melt butter, golden syrup and milk in a saucepan or in the microwave and stir until heated through. chocolate chips and chopped raisins to the dough . 5.Preheat the oven to 180°C. 6.Take out the dough and pinch off equal little bits of dough and roll them into smooth balls. Press them a little flat with your palm or with cookie cutter. 7. Now dip a fork in flour and press it slightly on the biscuits to get the tine marks on top giving it a decorative look. 8.Place them on baking trays and leave enough space between each other when you place them on the tray with cookies and bake for 13 to 15minutes. 9.. The biscuits will become fluffy and its color change watch carefully that they don’t get too brown. 10.Once Baked Switch off the oven and remove the baking tray .Cool them on the wire rack allow to cool completely. Store in an airtight box. Scrumptious and super healthy cookies..well done Akka.